Natural Gems - never lab created! The name diamond refers to it's hardness (Greek - Adamas', unbreakable or unconquerable). Most natural diamonds are formed at high temperature and pressure at depths of 140 to 190 kilometers (87 to 118 mi) in the Earth's mantle. Carbon-containing minerals provide the carbon source, and the growth occurs over periods from 1 billion to 3.3 billion years (25% to 75% of the age of the Earth). Diamonds are brought close to the Earth's surface through deep volcanic eruptions by magma, which cools into igneous rocks known as kimberlites and lamproites. Diamonds can also be produced synthetically in a HPHT method which approximately simulates the conditions in the Earth's mantle. An alternative, and completely different growth technique is chemical vapor deposition (CVD). Several non-diamond materials, which include cubic zirconia and silicon carbide and are often called diamond simulants, resemble diamond in appearance and many properties. Special gemological techniques have been developed to distinguish natural diamonds, synthetic diamonds, and diamond simulants. There is nothing to compare to it in hardness; it is therefore nearly imperishable. It's cutting resistance is 140 times greater than corrundum (Ruby & Sapphire) however the hardness of a diamond is different in the individual crystal faces. This allows one to cut diamond with diamond (or diamond powder). It's very strong luster enables the experienced eye to differentiate between a diamond and it's imitations. About 75% of the world's diamond production and trade is managed in an agreement with a central selling organization (Diamond Trading Company (DTC) is the rough diamond sales and distribution arm of the De Beers Family of Companies). 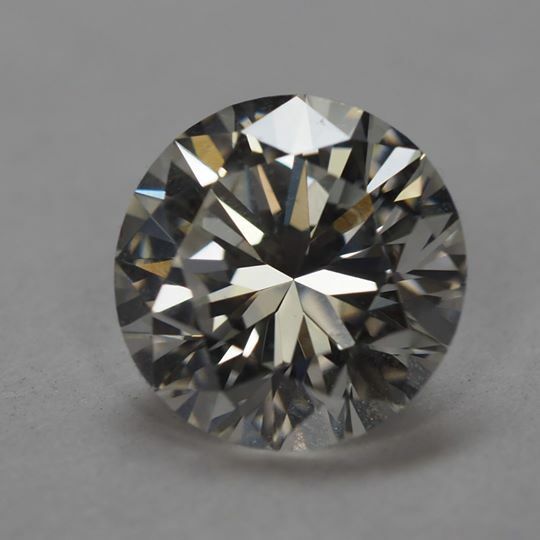 TREATMENTS - Diamond enhancements include laser drilling to remove inclusions, application of sealants to fill cracks, treatments to improve a white diamond's color grade, and treatments to give fancy color to a white diamond. Techniques such as Raman spectroscopy should easily identify such treatments. CARE - Diamonds jewelry can be cleaned in an ultrasonic or steam cleaner, however, we recommend using Ionic Cleaners and/or warm, soapy water and a soft brush as the best way to clean all your jewelry.